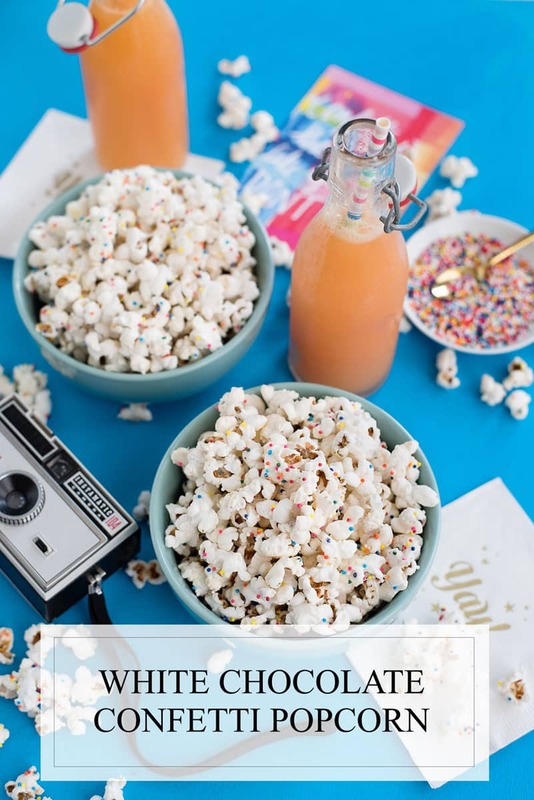 This white chocolate confetti popcorn recipe is decadent and easy! 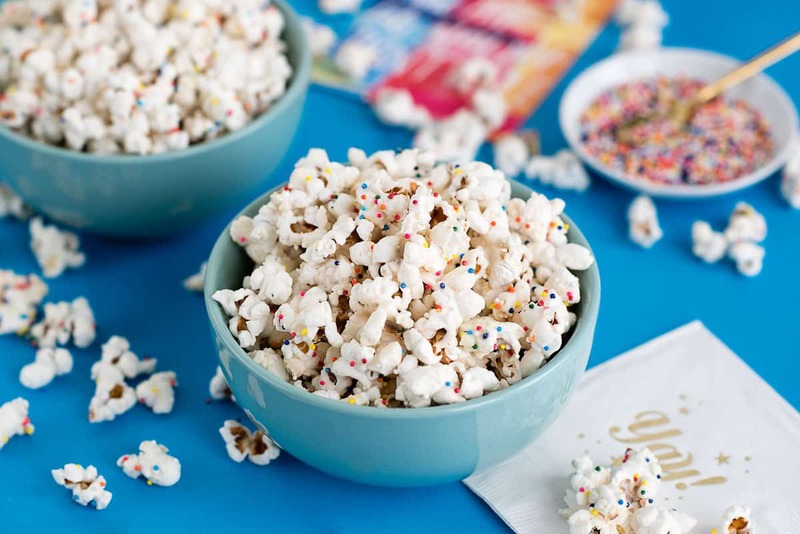 Coated with sprinkles, it’s the perfect salty-sweet food for your next party. Sometimes the most unlikely things end up making you think, “How did I ever live without this?” I feel like that for about 95% of the time I’m inside Trader Joe’s. Tropical sweetened matcha green tea? Yes, please. Coconut oil spray? Check. Unsweetened unsulfured dried mangos? Checkcheckcheckcheck. 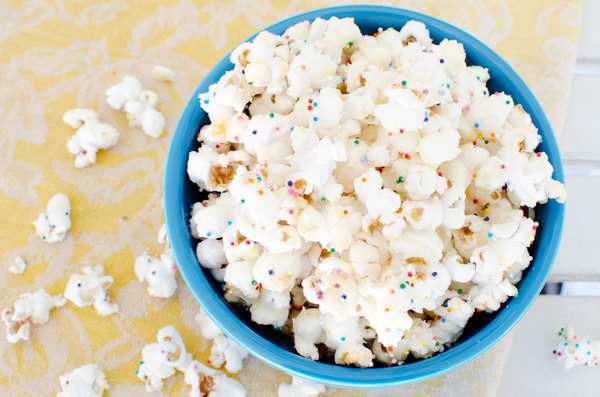 That’s how I feel about this white chocolate confetti popcorn recipe. First, I LOVE all types of popcorn, from salty to sweet. Popcorn is one of my favorite snacks. I’m also guilty of microwaving a bag and calling it dinner on those days that I’m stuck late at the hospital. I love that popcorn is healthy or decadent depending on your recipe. If I’m feeling virtuous, I’ll go with just a drizzle of honey and a pinch of salt. 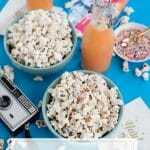 For more a more indulgent popcorn recipe I love spicy caramel bacon popcorn. This recipe with white chocolate is so decadent and the sprinkles make it the perfect party food. It’s almost dessert, but you don’t need plates or utensils to enjoy it. How did I ever live without it? This recipe is especially timely as we’re smack dab in the middle of awards season. If you’re having a viewing party, this is the perfect easy recipe to eat while you watch the red carpet and all of those tearful speeches. With the Grammy’s, Oscars, Tony’s, SAG Awards, and Emmy’s all right around now you’re going to need to bring your A-game, and this recipe will take home the gold trophy every time. 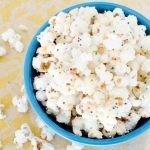 White chocolate confetti popcorn is a decadent and fun recipe. 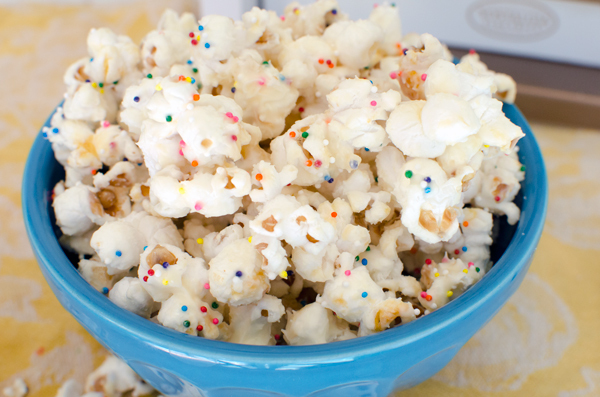 Coated with sprinkles, it’s the perfect party food! Melt your choice of white chocolate in the microwave or double broiler. Pour chocolate over popcorn, tossing gently to coat. 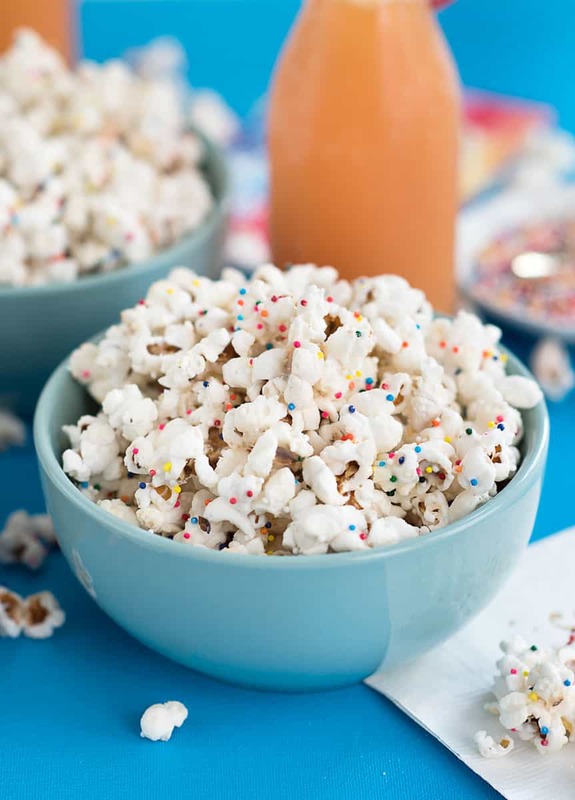 Evenly spread popcorn onto a baking sheet and add sprinkles. Let sit until dry (at least 15 minutes, ideally 2-3 hours). P.P.S. 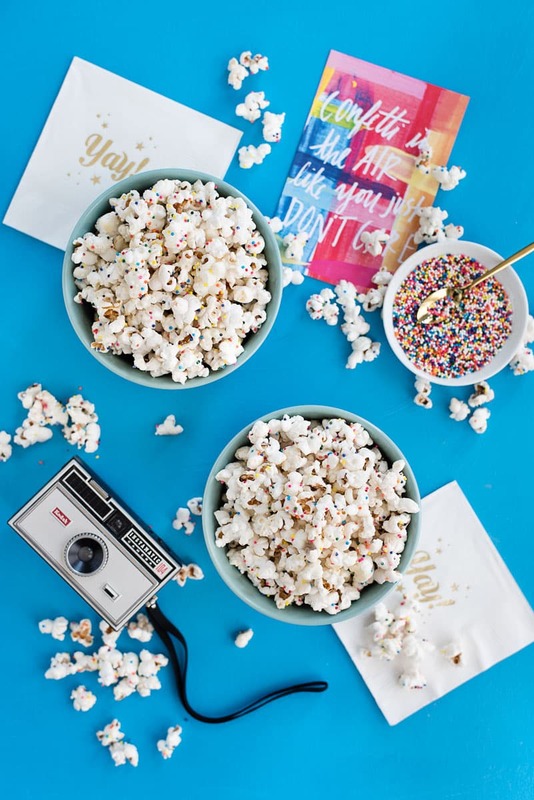 – Like this recipe for white chocolate confetti popcorn? 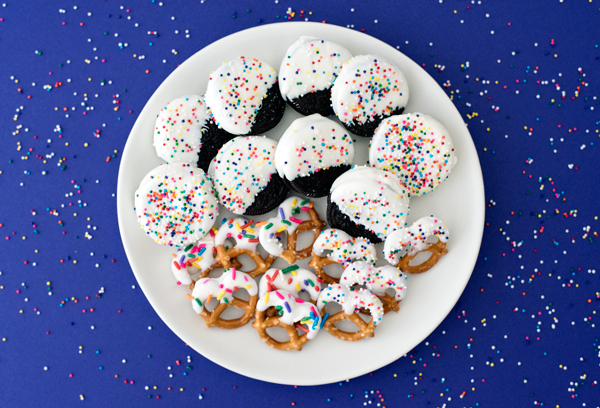 Check out this recipe for white chocolate dipped confetti oreos! 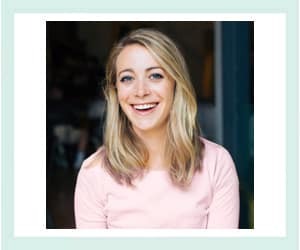 I now receive your email updates! i love drizzled dark chocolate and caramel popcorn.